Hi! I’m Alyssa. Welcome to the Relative Redhead blog. My goal is to help you feel connected and understood as a person, a partner, or a mother, by sharing raw, relatable, and honest life stories, thoughts, experiences, and of course LOTS of real food recipes, clean living advice, and safer beauty education. Mom or not, hot mess or not, successful or not, “crunchy” or not…that does not matter. This is here, for you, to simply read + relate. Why this blog? 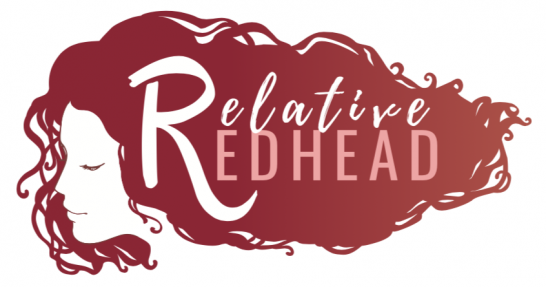 Why Relative Redhead? Well…I have a degree in writing, but more than that, I think the power of sharing honest, vulnerable pieces of ourselves through words is underestimated. In our society, we’re all searching for purpose, striving for better, and trying to connect. We want to feel part of a community of people that understand us to our cores. My hope is that this blog encourages that. Relating. Connecting. Learning. Growing. Healing. When our thoughts intercept, the dots can connect, no matter where we are in the world. There’s something special about relating–whether it be with a person, an idea, a thought, an image. There’s something comforting about knowing that someone out there gets it, gets you. It’s good to know you’re not alone. And let me tell you: this blog has all the feels. It’s sad; it’s happy; it’s hysterical; it’s painful; it’s exciting; it’s refreshing; it’s informative; it’s tasty; it’s frustrating; it’s uplifting; it’s honest; it’s real; it’s relatable. But really, who am I? I’m a boy mom. I’m a wife. I’m a redhead. I’m crunchy. I’ve had miscarriages. I’m passionate. I’m an advocate for better, safer products with Beautycounter. I’m a cloth diaper enthusiast. I’m a kombucha brewer. I’m a SAHM. I’m a business woman. I’m a Shiba mama. I’m a mess. I’m a rockstar. I’m spiritual. I’m a poet. I’m a Wisconsinite. I’m a photographer. I’m a writer. I’m honest. I’m real. I’m ordinary. I’m extraordinary. I’m relatable. Anyway, that’s it. That’s me. This is why. This is the RR blog. I’m so glad you’re here. I hope you enjoy. Now go on…read + relate.